A high-ranking male GOP politician has an unplanned pregnancy. Send us your prompt responses and we may post our favorite one for the masses. Today’s prompt image from qoafosho. “BluDahlia makes clothing, accessories, and home décor, remixing tribal, bohemian, hippie, and urban glam with dreamy “found” elements. Richly layered, fun, and functional, we are the most daring-est Trio this side of the Mississippi. Our products are made on site at RedHouse, a boutique showroom and studio space in Philadelphia, PA. We support and welcome self taught designers and stitchers. developing local talent, through inexpensive classes. The METROPOLARITY crew hopes to see you there. If not at this event, then certainly at the ball. Remember, the theme is MUSEUM of TIME. 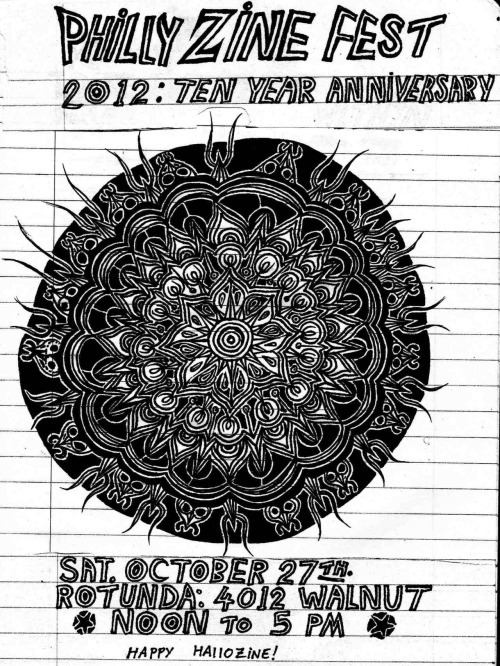 This Saturday, OCT 27 at the Rotunda (4014 Walnut Street) is the 10th annual Philly Zine Fest. This event is FREE and ALL AGES. NOON to 5 PM. For more information, visit the Philly Zine Fest website here.